Eshcon regularly sends out an e-newsletter to contacts – here’s the latest from February 2018. A number of my clients have an ISO 9001 Quality Management System & now need to manage their environmental impacts. Rather than starting from scratch, adapting the existing system for the requirements of ISO 14001 reduces the amount of time & effort needed. See my blog & Factsheet for how to combine your QMS & EMS – I can help you. 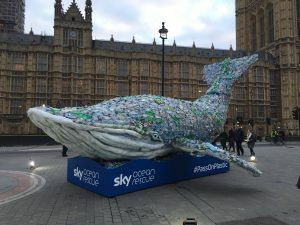 Since Blue Planet II, there has been a lot of interest in marine plastic pollution. Every minute, a dustcart’s worth of plastic goes into our oceans, it never decomposes & affects marine life & our own food chain. #PassOnPlastic is a pledge to reduce or even eliminate single-use plastic, e.g. takeaway coffee cups, bottles, straws & microbeads in beauty products. Make the pledge yourself & encourage your company, school, council or other organisations to pledge. 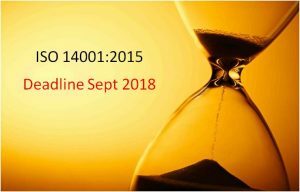 If you haven’t yet updated your EMS to the requirements of the new version of ISO 14001, you need to get moving as the deadline is this September. See here for what you need to do now. I’ve found that organisations (large & small) see the leadership & lifecycle elements of the new standard as the biggest challenge. What should I do with my Business Waste? Did you know that more than half of UK companies are not legally compliant in how they manage their waste? Mostly this is because they don’t know what they need to do. Check out my summary of your legal requirements under the Duty of Care legislation. I enjoy judging the Sustainability Leaders Awards, hearing about how companies are addressing env issues; it’s interesting & keeps me up to date. Great discussions with the other judges & I meet the entrants on awards night. Good fun too! 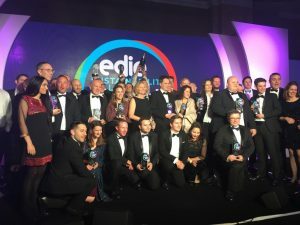 See the winners here – their ideas & experience may help with your own activities. We all need to contribute to the UN’s Sustainable Development Goals (SDGs): governments, businesses, individuals. Don’t think that it’s only about channelling aid to poor countries. See my latest blog on why The Global Goals are important & relevant in the UK. With thanks to @ukssdnetwork for the stats. 14th Feb: Webinar – ESOS – What you need to do now. Env Prosecutions – The director of a Nottinghamshire which breached its environmental permit causing fires is jailed & 3 more given suspended sentences. 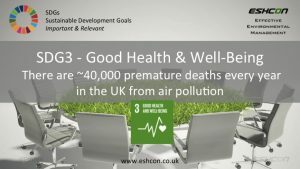 Pollution targets could save 13,000 lives – Transport charity Sustrans says that >13,000 lives & nearly £10 billion would be saved over the next decade if the UK Government hits targets for increases in walking & cycling, through improved health through exercise & reduced air pollution. Sports threatened by climate change – Think climate change doesn’t affect you? Cricket & golf, as well as snowsports, now under threat. What are the climate related risks to your business? Giant battery storage – General Electric (GE) is partnering with London energy firm Arenko to create one of the UK’s largest fully-integrate battery storage solutions. 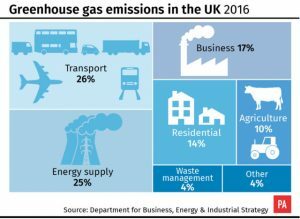 Transport emissions up 2% – Transport has become the UK’s most polluting sector but there is good news as overall GHG emissions fall by 5%. Carbon-intensity app – A new Carbon Tracer app reveals real-time electricity generation mix & carbon emissions at a local level – check it out.